Despite having advanced infrastructure and connectivity in the heart of Southeast Asia, until now Malaysia was not able to fully exploit its capacities as an outward-looking trading economy. 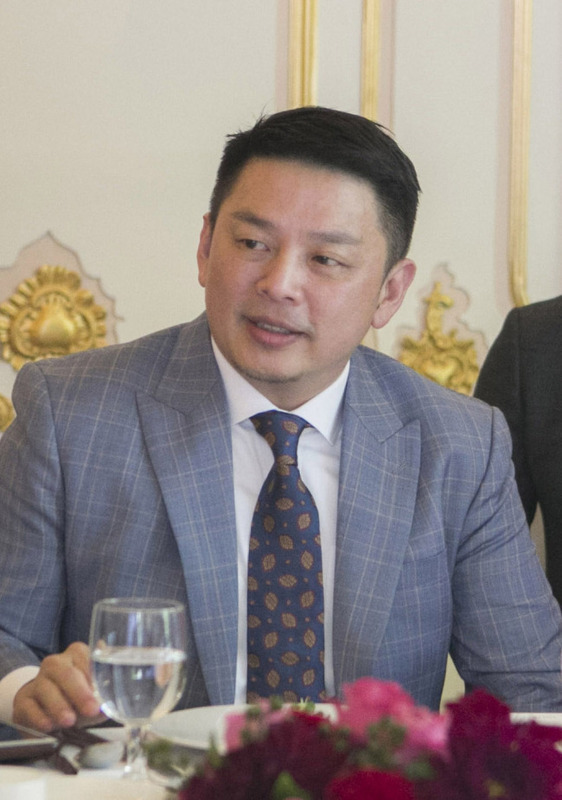 With the launch of a new government under Prime Minister Mahathir Mohamad in May, Kuala Lumpur has set its sights clearly on moving up the value chain and engaging the world with a focus on ASEAN and its Asian-Oceanian partners, according to Malaysian Minister of International Trade and Industry Darell Leiking. The politician from the eastern Malaysian state of Sabah came to Korea last week with a retinue of state assembly representatives from Malacca, Johor, Penang and Terengganu, and officials from his ministry, the Malaysian Investment Development Authority and the Malaysia External Trade Development Corporation, among other government bodies. His trade-investment mission also included some 90 representatives of Malaysian companies, who conducted business meetings with potential Korean investors and partners. Malaysia is the third-largest economy in the Association of Southeast Asian Nations with a $1 trillion gross domestic product and $11,000 GDP per capita, or $31,000 in purchasing power parity. As outlined in the 11th Malaysia Plan (2016-20), the country is also aggressively moving forward in adopting Industry 4.0 technologies, such as smart manufacturing and automation. Leiking expounded his administration’s approach to regional cooperation and national development. The Regional Comprehensive Economic Partnership, or RCEP, is a proposed free trade agreement between the 10 ASEAN member states and the six states with which ASEAN has existing free trade agreements: Australia, China, India, Japan, South Korea and New Zealand. With a combined population of 3.4 billion people and combined gross domestic product of $23.5 trillion, the 16 countries account for almost half of the world’s population and over 30 percent of global GDP. They also make up over a quarter of world exports, according to ASEAN data. Malaysia is also an original signatory to the Comprehensive and Progressive Agreement for the Trans-Pacific Partnership, formed after Washington deserted the original pact after President Donald Trump assumed office. Since becoming the international trade minister, Leiking has argued that the ongoing trade war between America and China presents opportunities for other nations. 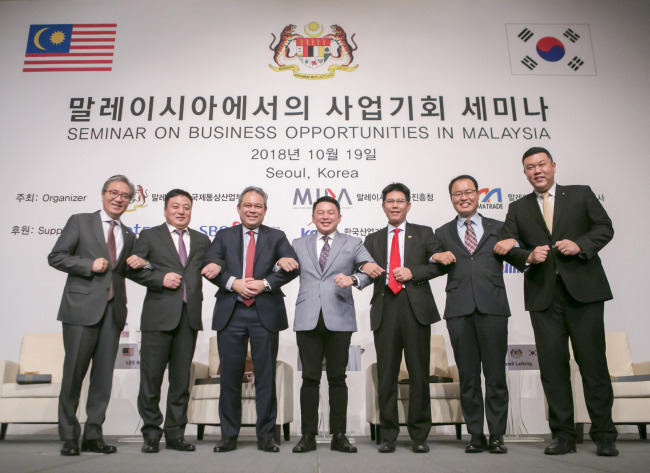 Noting that Malaysia has an ambition to be a sophisticated and advanced economy like Korea and Japan, Leiking said there are many opportunities between Malaysia and Korea to increase collaboration in advanced technology-, knowledge- and capital-intensive industries, among other sectors. According to MIDA, promising sectors for investment include additive manufacturing for medical devices, electronics, automotive and aerospace products; industrial data services, cloud-based services, industrial mobility and cybersecurity services; internet of things for logistics; chemicals and petrochemicals; energy-efficient vehicles; machinery and equipment, electronic commerce; biotechnology and pharmaceuticals; food products; and creative industries. “I see many opportunities between Malaysia and Korea, particularly in cosmetics, food, medicine, clothing, etc. They can all go halal through Malaysia. These halal products and services can be sold within ASEAN as well as the larger Muslim world,” he said. Malaysia’s Ministry of International Trade and Industry has under its auspices the Halal Industry Development Cooperation, an agency that ensures the integrated and comprehensive development of the national halal industry and its exports. The global halal sector is estimated to be worth $3.7 trillion by 2019, according to research by Thomson Reuters, and the number of Muslims worldwide is expected to reach 2.8 billion by 2050, according to the Pew Research Center. Between 2016 and 2017, trade between Malaysia and Korea expanded nearly 14 percent from $14.4 billion to $16 billion, with Malaysia exporting nearly $7 billion worth of electrical and electronic products, liquefied natural gas, metal products, chemicals and chemical products and palm oil-based products. During the same period, Malaysia imported $9 billion worth of Korean goods, ranging from smartphones and smart manufacturing equipment to cosmetics and cars. There are more than 260 Korean companies operating in Malaysia, including corporate giants Lotte, Samsung, Hanwha and Posco. Total Korean investments there top $7.8 billion. Following the first wave of the Look East Policy -- launched in 1982 to emulate the nation-building experiences of Japan and Korea -- Kuala Lumpur and Seoul in 2014 agreed to implement the second wave, aimed at deepening and diversifying bilateral relations for mutual economic development. The second phase is geared toward strengthening trade and investment ties, small and midsized enterprises, technology sharing and human capital development -- all ways of encouraging active participation by the private sector.